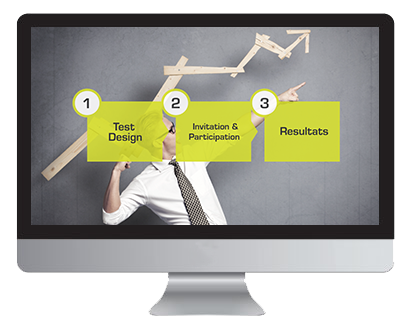 The most complete Remote User Testing platform! Evalyzer takes care of your User Testing! Want to learn how and why Users behave on your Web site? 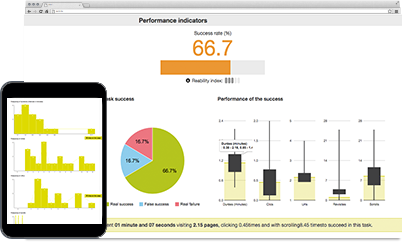 Launch a User Test with Evalyzer, in your lab and/or remotely, on desktop, smartphones and tablets. 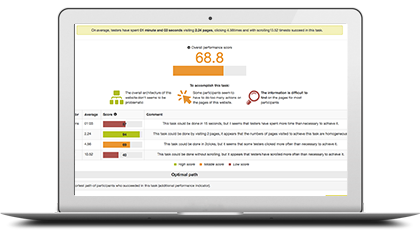 Evalyzer captures all behaviors on your Web site and analyzes automatically User data. Focus on your job, you will get a User Experience report in real time! Evalyzer tells you if Users have a good or a bad experience on your Web site and provides useful tips to optimize your Web interfaces. Save your time and make great decisions for your ROI!